Do you also wish to have optimized growth of crops in your greenhouse in the most efficient manner ever? Well, who doesn’t want it? 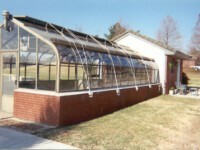 This is true that all owners put in their hundred percent efforts to design the most suitable greenhouse garden according to their needs and use the suitable material to accommodate the design that they picked, these areas of attention will not constantly result in a growth structure that consumes the least amount of energy. Besides the design and materials, all greenhouse units will probably aid their exclusive purpose in creating an ideal growth environment for several types of crops. Though, the real purpose and intent of a greenhouse should not be ignored which is to create the best growth environment that not only lessens time in crop cultivation but also saves a big deal of money. Enhancing a greenhouse doesn’t have to be a long or expensive task even small steps taken towards it can make a major difference. 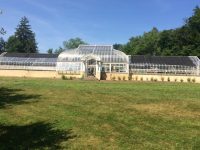 In the article below you will get to know a few simple tips and tricks to enhance the greenhouse garden that will let you effectively generate a high level of productivity and energy saving in your greenhouse. Installing a heater with a thermostat that gardeners can stipulate will provide plants with constant warm temperature throughout the day and steady cool temperatures at night. Heating systems can be powered by numerous fuels including oil, gas, wood or electricity (forced by hot water), steam, hot air or radiant heat. It is advised to use a 220-volt circuit electric heater for most of the systems. Similarly installing fans in your greenhouse on the ceiling can be helpful in reflecting back the heat downwards to the floor level and to increase airflow. 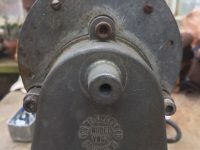 Generally, it is advised to pick small fans with a cubic foot per minute air moving capacity equal to one-quarter of the air volume of the greenhouse for greenhouse gardens. Setting up shelves, tables and bench can be a great idea for greenhouse gardens as placing plant on them will guard them from the cold of the floor and to help with drainage.it is advised to get benches, shelves and tables which are 30 inches in height and 33 inches in width to make it convenient to work from both sides. Insulating your greenhouse can be beneficial especially in winters as that will protect it from the cold temperature outside and will help to maintain that required amount of temperature suitable for the optimized growth of the crops. Many types of insulation are available in the market. However, the most commonly used materials utilize the principle that air is a good insulator. Air, trapped in foam bubbles or the tiny spaces in fiberglass insulation creates many hurdles to heat movement. 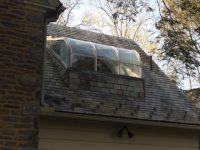 Some materials also utilize gas besides air that has a higher insulating value. It is generally advised to use double-bubble insulation with foil faces. This offers extra insulation due to the airspace in the bubbles. It is available in rolls of 500 or 1000 square feet in various widths.